Trust me when I say – the easiest way to learn this – is to play around with it. The Summary Zoom is a great way to create an index page with all your sections neatly on one page. It will automatically present it in “mosaic” format / card style. With Section Zoom you can get really creative. I love this idea for roadmaps, value chain links, progression etc. 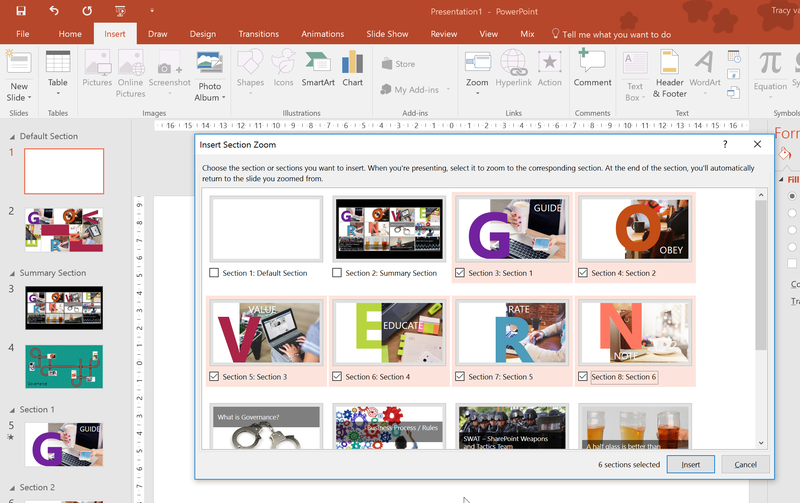 Slide Zoom allows you to smoothly move on to your next slides, while ‘getting the bigger picture’. 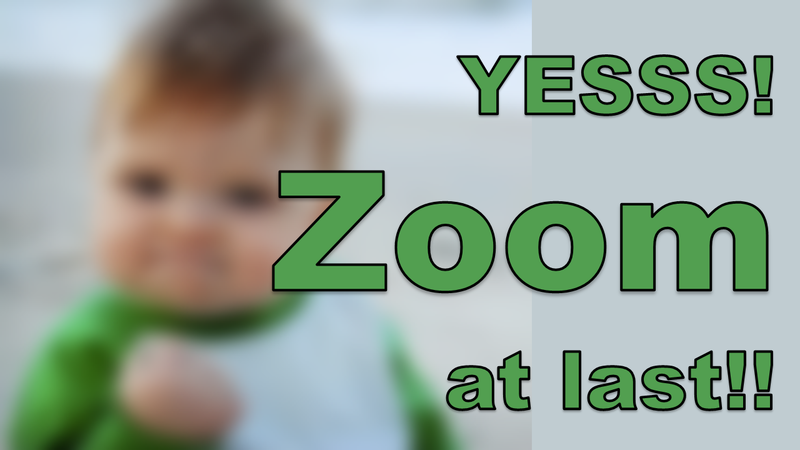 To add Zoom to your slide – click on Insert > Zoom and select the type. It will ask you to select the slides you would like to use. The pages will appear stacked on top of each other (except if you’re using the Summary Zoom). Now get creative – move these all over the page, make some of them smaller / larger and even turn them sideways or upside down. This will make the transition really interesting. In my Section Zoom example below I even inserted a “roadmap” background and stacked my slides around that. 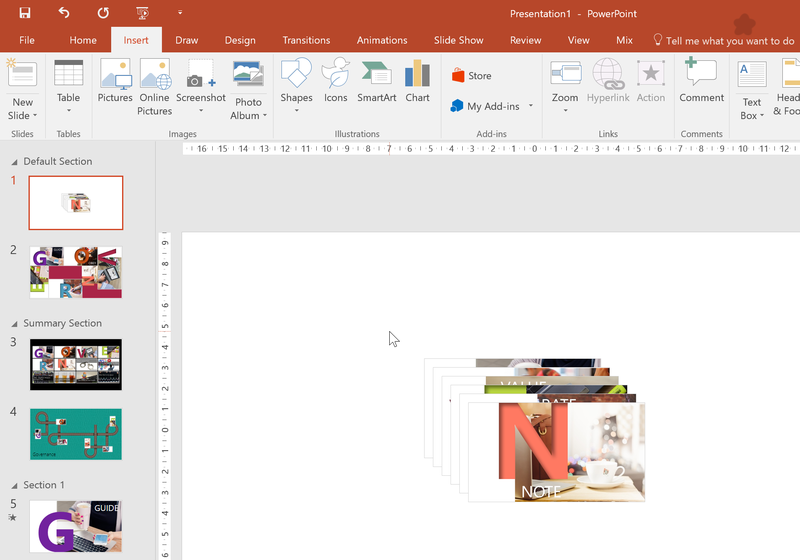 Test your creating by going to Presentation mode. Once a Zoom is created, you will notice the Format Toolbar for Zoom appearing if you select any item on that page. Here you’ll see various settings related to your Zoom. Hope you’ll love it as much as I do! !